Can you imagine that? It’s 2012. Two weeks and a day into this new year. Back when i was kid, the mere thought of the year 2000 was mysterious to me. Like it was hard to imagine reaching it. I couldn’t even begin to imagine how the new millennium would be like. Well, scratch that statement. I did attempt at imagining what the future would be like. Strangely enough, i thought that we would have readily available flying cars at this time. Or be in some space-age kind of world like Buck Rogers in the 21st century (instead of the 25th). I guess, humanity just wasn’t fast enough. Perhaps our high-tech journey into the future has been tempered by extremes within this spectrum of the human condition. Some of us probably know the answers why. Some of us know perhaps what has led us towards this path. But it also seems to me that in the daily meanderings of our busy lives, it’s become too much of a luxury to look at the plight of humankind outside of your front door. For some people, it’s too complex. For some, the indifference insulates them from having to invest time in things that are beyond their individual control. It’s sad that we can wage wars of liberation in Libya, impose sanctions in Iran, mull over the politics of our countries and yet a whole continent where arguably the first Eve was found can’t be rescued from famine. Maybe because famine isn’t profitable. Or it’s not something you can shoot at like a terrorist. You can’t bomb famine. Here in the Philippines, hunger is still prevalent in the poorest sectors of the society. The poorest sectors by industry are from fishermen and farmers, accounting to a poverty incidence of 50 percent and 40 percent respectively. These people despite working to grow food for a living still experience a dismal lack of it on their own dining table. 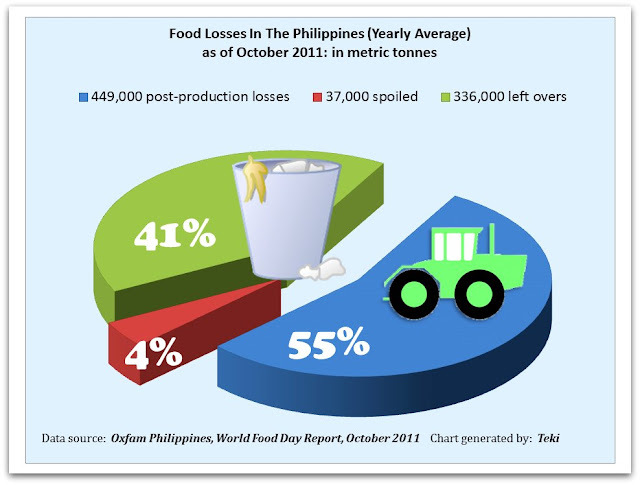 Food production processes and consumption in the Philippines aren’t particularly efficient such that we have aggregate loses of 822,000 metric tons a year. A simple breakdown can be seen in the chart below. Not all of us can go to Africa. Not all of us can have the means to adopt a Filipino family and take them away from hunger. I don’t know the perfect answers either. But once in a while, i do know that aid is not just a buzzword. It’s not just a statement. It is a moral imperative. A human imperative. Like equality and love. I also know that we can create a difference in our own small way by simply not wasting food. —-> Didn’t you know that a third of world food production for human consumption is lost or wasted? An equivalent of 1.3 billion tonnes of food thrown away each year. —–> In industrialized countries, consumers have wasted food at a total to date of 222 billlion tonnes nearly equal to Sub-Saharan Africa’s net food production at 230 billion tonnes. 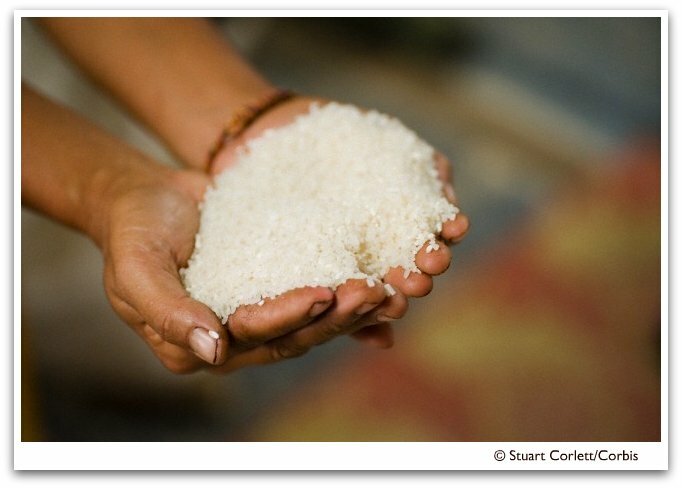 —–> There are 918 million undernourished people together with nearly 7 million who died of hunger in 2011 alone. —–> In the US , nearly 50% of food is wasted : nearly 123 million tonnes of food in a day. Contrast that against only 25,555 tonnes of global aid in food daily. —-> There are over 1.5 billion people who are overweight in the world while there are 515 million people obese. However, more than 28,000 people still die daily of hunger. —-> In the US in 2011 alone, nearly 440 million USD is spent on obesity-related diseases, 110 million USD is the amount of food purchased and thrown away by households and consumers. However, only 5 million USD is spent on global food aid. The total needed amount to feed the hungry today is only 35 million USD. And so this is my plea to all of us here, in the next 349 days of 2012, how will you help in staving off world hunger?